Fabulous single-level in The Villages of Lake Brook Farms. Great drive-up appeal with lush landscaping. 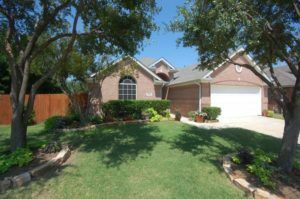 Inside you will find fresh paint, recent carpet, undated fixtures, blinds, designer colors and so clean! Master suite with jetted tub, separate shower and walk-in closet. Energy efficient with R49 insulation, radiant barrier, and new ductwork. Backyard has lots of trees and covered deck that is perfect for entertaining. Easy access to SRT. Click here for more information, status, and current pricing. 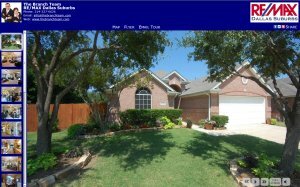 Click here to see all Frisco Texas Homes For Sale in the Villages of Lake Brook Farms.